My brain’s on summer vacation! We are in the last week or so of school (though some of you in other districts are out already you lucky dogs! ), and though I know you’re still going strong with your instruction, I’m sure you can identify with the situation shown in this comic! 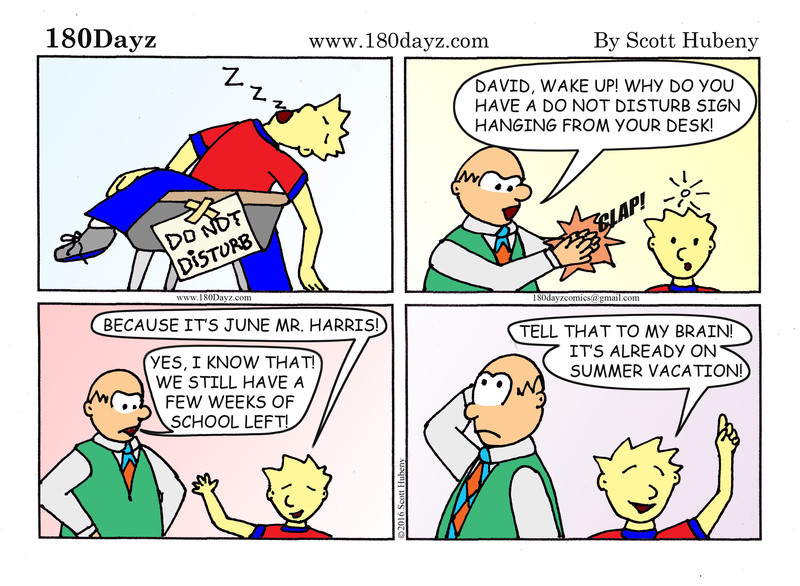 Be sure to share it with all your friends and colleagues, tell them about 180Dayz, and please don’t forget to support the 180Dayz School Year Calendar Project on Kickstarter. We’re only 25% towards our goal :(. Has summer already invaded your classroom?